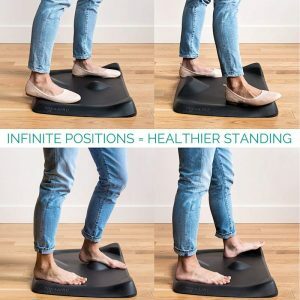 While this is specifically designed for use with sit to stand desks, you do not have to use one to achieve the benefits of this mat, which has special features to prevent lower back pain and keep your legs healthy. There is a standard version for 5′ 4 and taller, and a mini version for those 5′ 4 and shorter. It can also be based on the amount of room you have available at your work station. 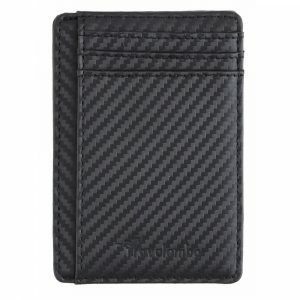 The wallet is only 0.12 inches thick and measures 3.3″ by 4.1″ by 0.12″. It is available in 100% genuine leather that is durable and soft. Another great benefit is enhances security with RFID blocking technology to block signals that can electronically scan your wallet. 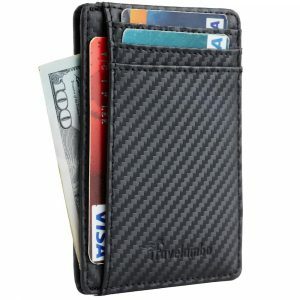 It has six card slots to place your most frequently used cards. 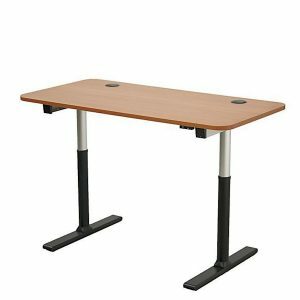 Commercial grade variable height desk with steel frame stability. Continuous height settings from 25.5 to 50.5″. 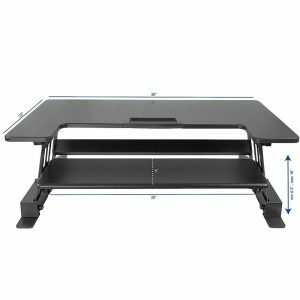 48 by 30 inch top for ample room and supports up to 200 pounds! Great for smaller home based offices. Includes a cable management system tray. 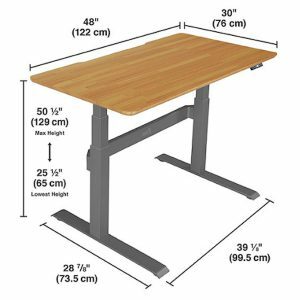 Full electric height adjustable desk. All sit to stand desks wobble somewhat when at full height. One way some have tried to solve this is using a crossbar, however, this may interfere with leg room, depending upon the users chair and body type, and room if you store or use anything underneath. The desk instead uses a bearing which is synchronized with desk motion to improve stability. It uses a brushed aluminum instead of steel and is 30% more stable and lighter. Although it does require some basic assembly, which takes about a half hour, at 49 lbs it can be moved by most, whereas other models will require more than one person. Better ergonomics is an important part of relief from back and neck pain when working. 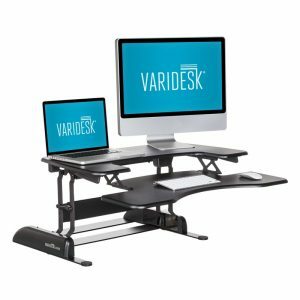 For those seeking better health, studies indicate improved cardiovascular benefits, better weight control, and less pain from maintaining a sedentary position from extended periods with a sit stand desk. 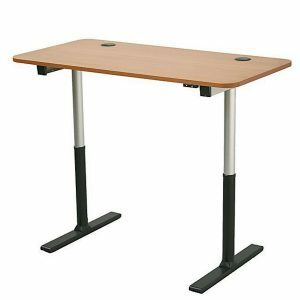 Stand Up Desk with smooth transition from sitting to standing. Innovative simple touch locking mechanism. Adjustable from 6.5-16 inches. 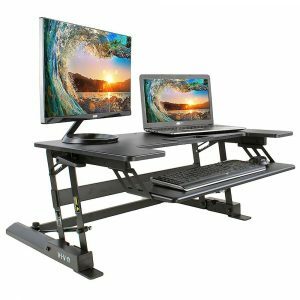 Top provides generous space for single, dual monitors or laptops (36 x 22 inches). 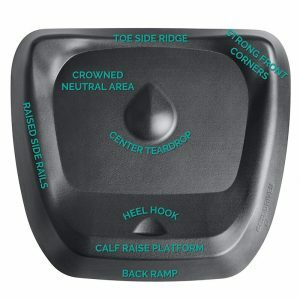 Storage tray for cell phones and other small objects. The bottom tier is 9 x 28 inches to hold mouse and key board ergonomically with maximum comfort and ease of access. Can be completely removed with the provided hex tool. 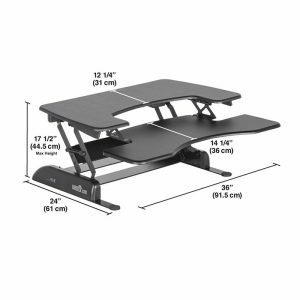 The entire standing desk converter supports up to 37.5 pounds. Minimal assembly out of the box. Steel frame for durability.